A KOTOBUKIYA Japanese import! 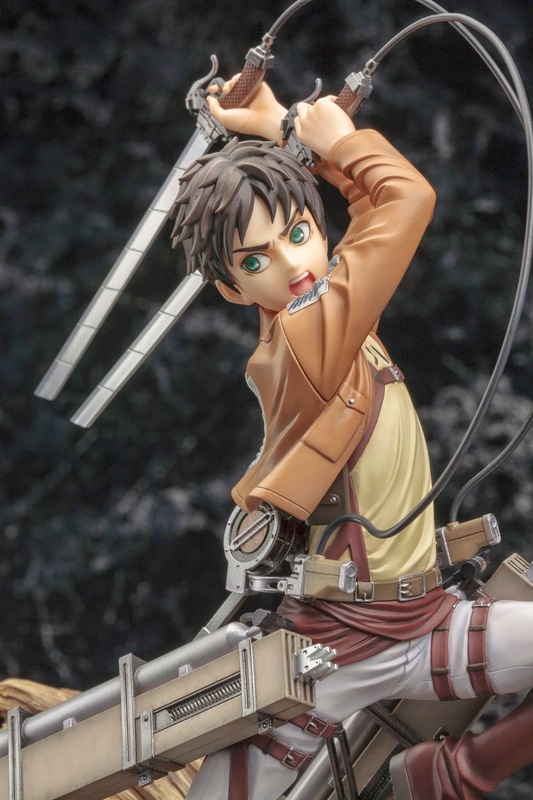 The next new addition to the ARTFXJ lineup (a bold new expansion designed “to bring classic Japanese characters to their fans worldwide”) is possibly the most popular anime and manga property in the world right now, Attack on Titan! 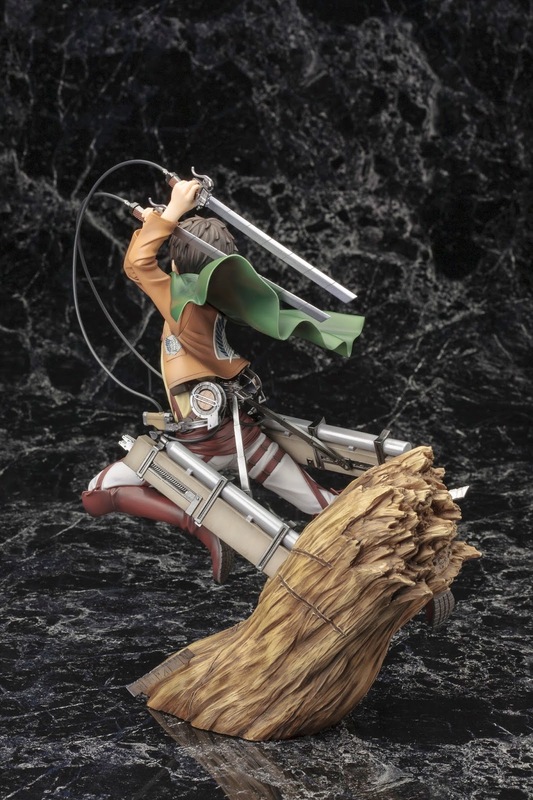 Created in 2009 by Hajime Isayama, Titan tells the story of humanity living behind walls to protect itself from huge humanoid creatures. 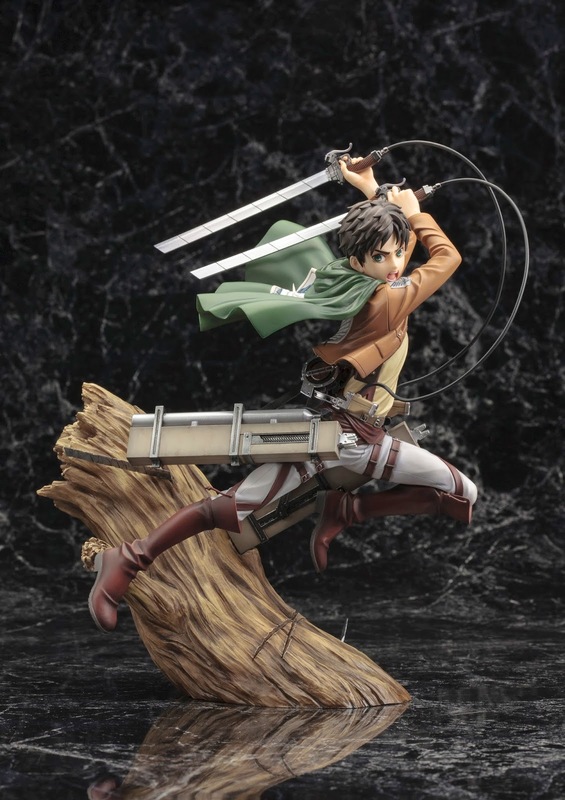 Headlining the new ARTFXJ lineup is the series’ main character EREN YEAGER! 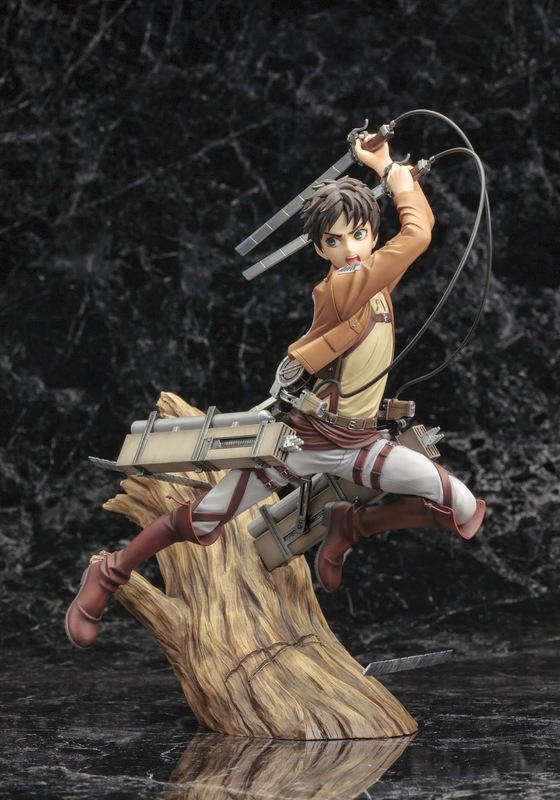 After witnessing the death of his mother at the hands of a Titan, Eren would go on to join the elite Survey Corps to fight the giants using the group’s Three Dimensional Maneuver Gear... and that’s exactly how he’s captured in ARTFXJ form. 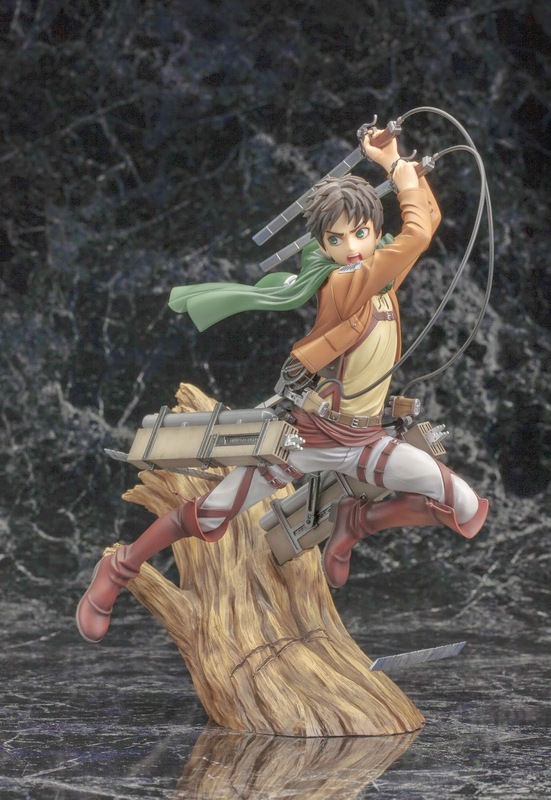 Yeager leaps forward in mid-attack, swinging off of the tree at his base and reaching back with his dual swords to strike a huge blow!